Yes, you can absolutely set territory restrictions for your content. B.) 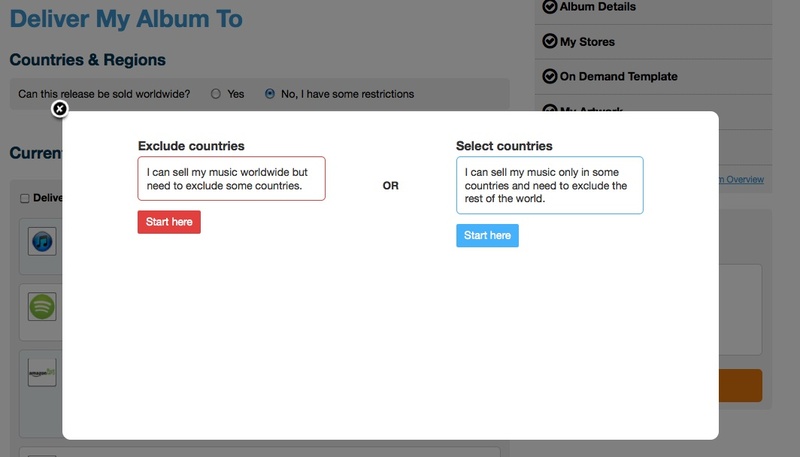 You can sell your music in some countries but need to exclude the rest of the world. 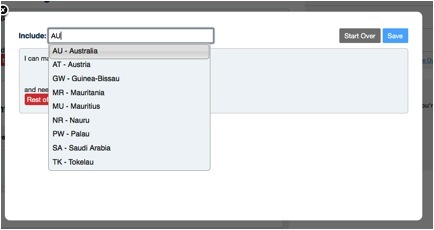 Once you are finished adding all your countries, please click Save. You are then able to continue on with choosing your stores by selecting Deliver Here next to each store you wish to distribute. Your music will be delivered to every store you select but only go live in the designated territories. Important : Territory restrictions are final and cannot be reversed. You cannot have different territory restrictions for different stores. If you'd like to set up territory restrictions for your content AFTER you've distributed, please contact us here . Make sure you're contacting us from the registered e-mail for your TuneCore account and include the UPCs of the releases you wish to set up restrictions for and what territory restrictions you'd like to apply and we can assist you. Why do I get a pop-up message in the iTunes music store stating my release is not available?